For those with small numbers in mind or on a restricted budget, or just want to go chocolate for a few hours - why not book in one of our Small Chocolate Fountain hires? A beautiful centrepiece for any event, our 'mini' chocolate fountain is an ever popular service provided by Chocolatefountains-r-us.co.uk. Mini chocolate fountains can be used alone or as an addition to a large, commercial, chocolate fountain display. Mini chocolate fountain hires offer a subtle but enticing alternative to the usual, standard and sometime boring buffet party foods, or working lunch. Think 'strawberries and marshmallows' dipped into milk, dark, white or pink chocolate…mmmm! 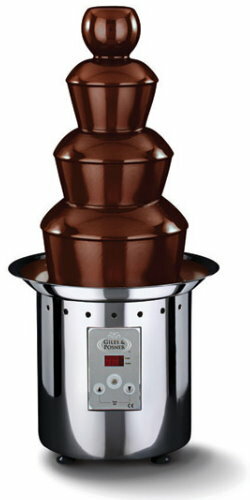 Hire or buy a small chocolate fountain for your event? 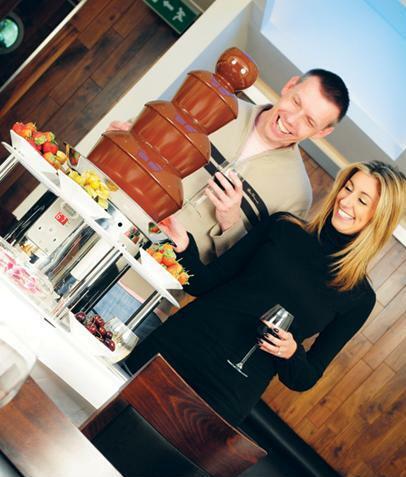 Mini chocolate fountains are perfect for many events, the question is – should I hire or buy? Shops selling mini fountains tend to be cheap, chocolate fountains made in China. The hire of our mini (5-foot) commercial chocolate fountain are much easier to operate, run well for up to 2 hours and cater for up to 40 hungry guests and can fit the budget of most with small numbers. A mini chocolate fountain hire removes the worry of creating a perfect cascading chocolate effect, and tempering the chocolate correctly to achieve that wow-factor effect. Instead of a buffet dessert, hire a mini fountain from Chocolatefountains-r-us.co.uk with a fully catered display for as little as £150 for up to 40 guests. Mini chocolate fountains are most suitable for small gatherings, children’s parties or an afternoon, office get together. Comes complete with a decorative, multi-coloured, Perspex surround. Call Bob or Michelle M: 07816200045 to talk all things chocolate today, email us or use our online enquiry form and view our coverage area/s near you.